Judith is multi talented, she has been on our TV screens for more than 30 years, she recently started performing stand up comedy and also takes bookings as a DJ. Judith presents her own show on Concious Radio 102fm on Thursdays between 1 and 3pm. Judith’s first job was at the age of 13 for the BBC play for today Jumping Bean Bag. Since then she has been consistently seen on television as nurse Beverley Slater in Angels BBC for 3yrs, Sensimilia in No Problem (devised by the actors and written by Mustafa Matura who were all part of Black Theatre Co-op) C4, EastEnders BBC1, The Real McCoy BBC as well as many other television programmes including The Bill & Holby City. Theatre work includes; Waiting for Hannibal, Meetings, An Evening with Gary Lineker, Twelth Night and Knock down Ginger. Films; The Only Boy For Me, Provoked and Captain Phillips. 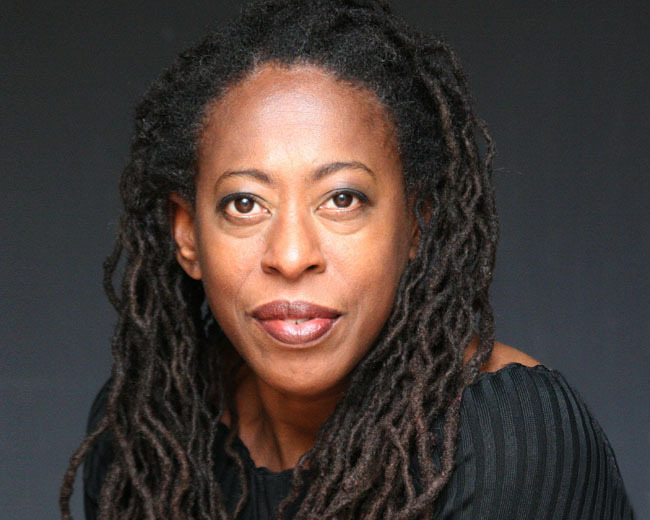 Judith co-founded The Bibi Crew, a group of 7 actresses of Caribbean descent who wrote, produced and marketed their productions of ‘On A Level’ and ‘But Stop! We Have Work To Do’ which was directed by Eddie Nestor. Judith also writes and performs character based sketches, most recently in THE REAL McCOY stage show. She has also created a live chat show called Judith Jacob Yabba Yabba’s With Friends, where she interviews her showbiz friends, they perform and the audience gets to Q&A. This has been very successful. Judith is also a qualified fitness instructor.